The following incident took place in the portables located out in the jungleish part of the school not too long ago. Mr. Leiningen sucked placidly at a rolled up scantron about the size of a corncob and for a few seconds gazed without answering at the agitated Department Chair. Then he took the scantron from his lips, and leaned slightly forward. With his bristling grey hair, bulky nose, and lucid eyes, he had the look of an aging and shabby eagle. “Decent of you,” he murmured, “waddling all this way just to give me the tip. But you’re pulling my leg of course when you say I must do bunk. Why, even a herd of superintendents couldn’t drive me from this portable of mine. The principal can observe all she wants. 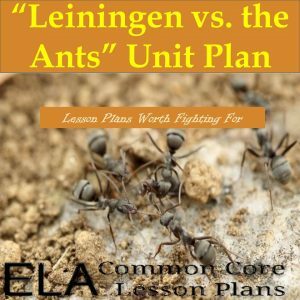 I have “Leiningen vs. the Ants” lesson plans and I plan on using my “Leiningen vs. the Ants” lesson plans. As it turns out, a throng of ants descended upon the portable before the principal arrived to observe him. All that was left were some really awesome “Leiningen vs. the Ants” lesson plans. Hey, I won't be offended if you just print this out and go on your merry way, but you have to promise me that if you print it out, you'll make copies of it and use it. “OMG! The ants are coming!” That’s what the government official tells Leiningen, but Leiningen doesn’t seem to care. The district commissioner claims these are no ordinary ants: “They're not creatures you can fight--they're an elemental--an 'act of God!' Ten miles long, two miles wide--ants, nothing but ants! And every single one of them a fiend from hell; before you can spit three times they'll eat a full-grown buffalo to the bones. I tell you if you don't clear out at once there'll he nothing left of you but a skeleton picked as clean as your own plantation." That’s a pretty good start to a short story. Even if you have never read “Leiningen vs. the Ants” by Carl Stephenson, you’ve probably already guessed that Leiningen tells the district commissioner to pound some metaphorical ant hills made from sand and that nothing could scare him away from the fiendish insects about to swarm his property. And how is Leiningen plan on fighting these ants? With his mind, for Leiningen believes that intelligence, directed aright, invariably makes man the master of his fate. Well, his theory is about to be tested by demon ants from hell. 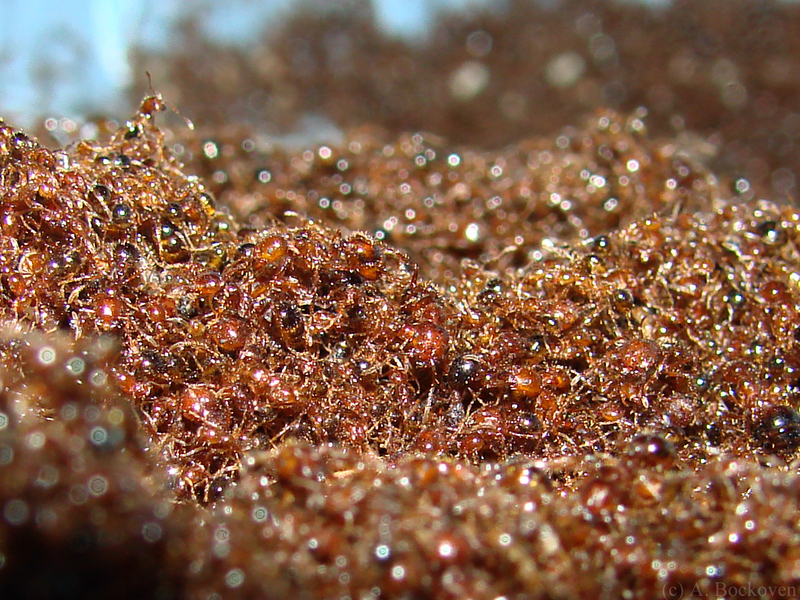 The arrival of the ants is preceded by a stampeding herd of just about every jungle dwelling animal that’s ever existed in the Amazon. It is here the reader is introduced to the first line of defense, the water-filled ditch—this would, of course, be enough to stop regular ants, but these ants? We are then introduced to the second line of defense, an inner-moat that can be filled with gasoline with the turning-on of a pump. This, of course, will be unnecessary, according to the boss. But being the astute and experienced readers of short stories that you are, you’ve probably already figured out this secondary defense will be necessary. The ant assault on the water-filled ditch was repelled successfully. Leiningen assumes victory, but the ants aren’t finished. They put leaves into the ditch and begin crossing the water. Leiningen repels them by emptying and filling the ditch, but the ants eventually cross and he and the natives must retreat within the inner-moat. The inner-moat seems to have stopped the ants, but they once again carry forth leaves from the tamarind trees to cross the moat. Leiningen lights them on fire, destroying all the ants in the ditch and numerous others beyond them. But the ants continued to attempt to cross the moat. And Leiningen continued to light them on fire. But there’s one problem—the petrol has to run out eventually. And the petrol valve becomes clogged and petrol is no longer entering the ditch. Suspense. The driving force behind this story is suspense, skillfully created through dangerous action, foreshadowing, and pacing. Conflict. The predominant conflict is Leingen’s brain vs the instinct of the ants. It’s man vs. nature taken to a supernatural level. Characterization. Leiningen makes quite an impression on his people and on the reader. Personification. Are these ants or SS troops? Plot. An excellent story for teaching plot. Theme. The theme of the story—at least for the story’s protagonist is stated directly in the exposition. What evidence is there that Leiningen is correct? In what ways is his intellect proven futile?